"One or more mandatory prerequisites for Essentials are pending. Installation cannot continue. Run the Pre-Requisite Checker for details." Re-running the Prerequisite Checker, one will find that there are no dependencies left to install. 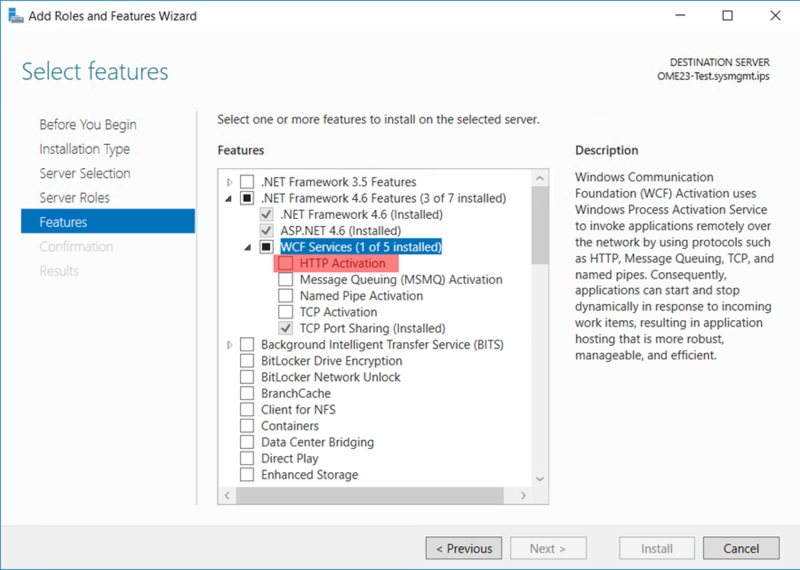 It has been found that if each dependency is installed via individual "Click here…" links, the ASP .NET HTTP Activation feature is not installed on Windows Server 2016. 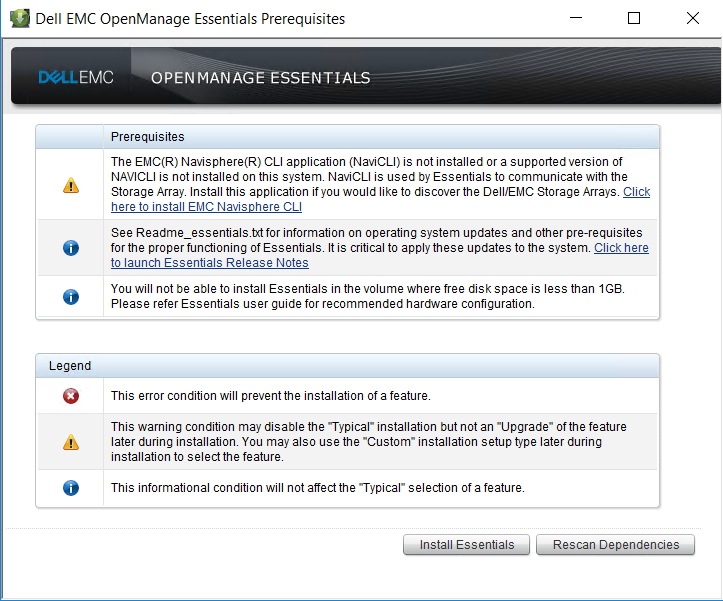 If the dependencies are installed using the "Install All Critical Prerequisites" button, the problem is not seen. 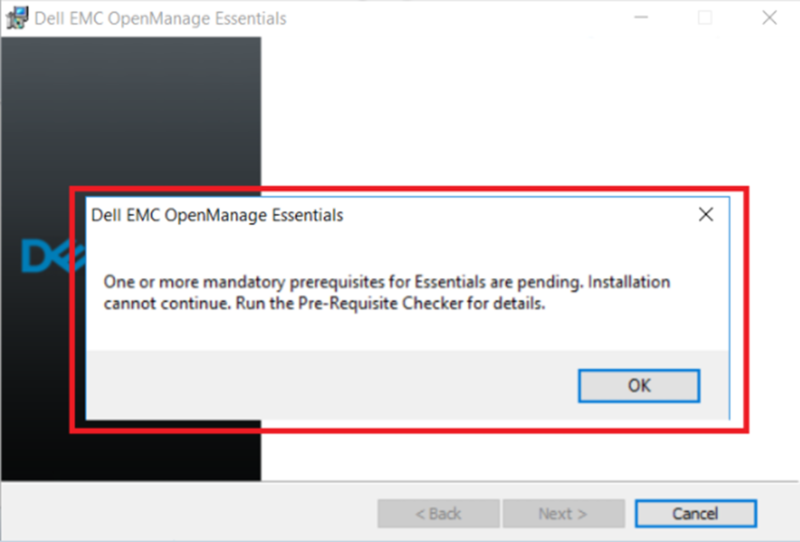 Once the installation is complete, you may restart the OME 2.3 installation without error.